Booking now open for your next Edventure Camp in Oman for the 2019-2020 season. 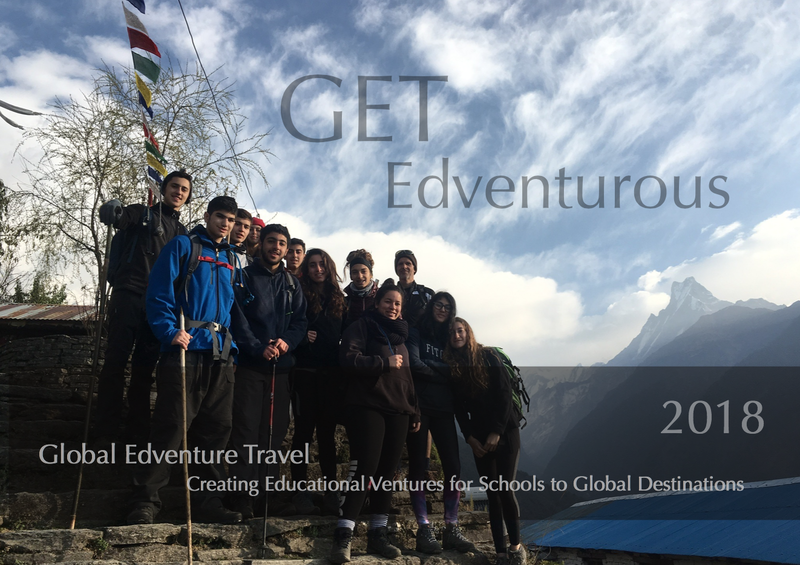 Global Edventure Travel has seen it’s Oman destination a hot favourite this year with more schools looking to visit the Sultanate for their adventure activities programme. Schools from around the Gulf Region have opted to use GET for their travel needs to offer their students an experience of a lifetime by visiting one of the best destinations in the Middle East. The country boasts a superb location as a winter destination offering mountains, coast and desert options for the intrepid explorer. Our main location is our Sifah Beach Camp, just a one hours drive from the capital and close to our supporting partner, the Sifah Tourism Development, which offers a superb golf course, marina, hotel and range of restaurants and other accommodations and services. Sifah Beach camp is open for bookings for schools, families, corporate and social groups. It makes the perfect location for any event. GET offer a variety of activities: climbing, biking, BMX cycling on our new track, kayaking, hiking, orienteering, bush-craft & survival, team challenges and more. Programmes of activities are tailored to the needs of each group. We also offer opportunities in the wider region of the country. Our mountain camps, with support from the Jebel Shams Resort, provide an alternative location for a similar type of adventure activities programme. Our camps in the mountains can be year round taking advantage of the wonderful weather and high altitude even in the hot summer months. There is no limit to the options we can offer which has made use leader in group travel within the country. Contact us now for dates for 2019-2020. The season at our Sifah Beach Camp runs from mid-October to the beginning of April to make the best of the climate at this time of year. For mountain camps we can extend our season from September to June. We are already receiving booking requests for this period so don’t miss out! Global Edventure Travel are offering one day and multi-day options for groups to explore some of Oman’s most exciting locations by bike. From the Western to Eastern Hajar mountains, our routes are designed to the needs and abilities of our clients. Itineraries can be created for the complete biking experience, or with a mixture of other activities available. Recently opened is our new BMX track. The track is open to all ages and those who are able ride. It is located next to our Sifah Beach Camp and offers rental of our new stock of BMX bikes suitable for all ages from children to adult. The track compliments our trail biking provision within the Sifah area, which offers several routes for different abilities. Trail bikes can also be hired from our camp for half day and day use. For companies looking to bring groups to Oman for cycling tours, either road or mountain, GET offers a range of services to support your groups from: airport transfers, bike transfers, vehicular support, and more. Our fork mounted racks provide space for up to 20 bicycles, or space for boxed bicycles. Bookings are now open for next season 2018-2019!! Contact us now to secure your dates for next season. We are already receiving enquiries and bookings for our GECO Camps in Oman, and other overseas destinations. The GECO Camps Oman season is due to open its doors mid October 2018 until June 2019. Remember we have the mountains which offer us a summer destination plus our new location in the south of Oman – Salalah! World-wide: our current selection of destinations is always available as are new countries we have introduced this season: Morocco and Japan. Popular this past year have been Nepal, Cambodia, Sri Lanka, Jordan, Tanzania, Finland and Europe. Visit our destinations page for more details on what we can offer. Also available for 2018-19 is Salalah, our new destination in the Dhofar region of southern Oman. Offering year round availability, the seasonal contrast to the rest of Oman is very apparent particularly in the summer months of the Khareef (monsoon) season. The focus of our programmes in Dhofar is more on the cultural, historical and geographical travel experience, with various trekking and water based activities available, making it a good choice for Duke of Edinburgh Award groups. An international school from Germany travelled with GET to the magnificent city of Amsterdam. The theme for the trip was Business Studies, and a fun packed week ensured the students had a wonderful educational experience. Plus a variety of local sights and visits in the city. A wonderful group and trip and many lasting memories to take home from the city of Amsterdam. GET offer a number of European city tours for curricular purposes, including: Paris, Madrid, Berlin, Helsinki, Oslo, London, Madrid, Rome, and more! We are always open to new suggestions and always tailor our trips to the needs of your group! Contact us..
Finland, home to Santa Claus, northern Lights, reindeer and endless summer sun and winter nights. Our most recent trip for one of our regular school clients took the group to Finland for a Winter Edventure exploring new culture, activities and environment! Finland offers a fantastic range of activities for schools and adult groups alike, and with our new found destination in the southern most fjells of the country, it provided the perfect setting for our school tour. Iso Syote is one of the few winter activity areas in Finland, and with the support of the resort of the same name, offers groups a multi-activity programme: husky-dog sledding, reindeer farm and sledding, fat-bike winter mountain biking, ice-fishing, tobogganing, snow-shoeing, ski and snowboard on pristine slopes, and a northern lights safari by snowmobile. There are more activities on offer and can be tailored to all groups depending on number of days, age and focus. There are other side-trips available for which our group opted for: a trip to Lapland to see Santa Claus (the real one! ), Ranua Zoo and time in Helsinki city to round-off a very memorable trip for everyone. If you would be interested in a trip to Finland please contact us for more details. As part of the EU it has Euro for its currency and is somewhat less-expensive than its neighbours: Sweden, Norway and Iceland. A good time of year to visit is December through to end of March (April marking the end of the winter season). The months of December through February are colder and have longer nights but the activities on offer are provided throughout the season and well managed to cope with the cold and limited light during these periods.